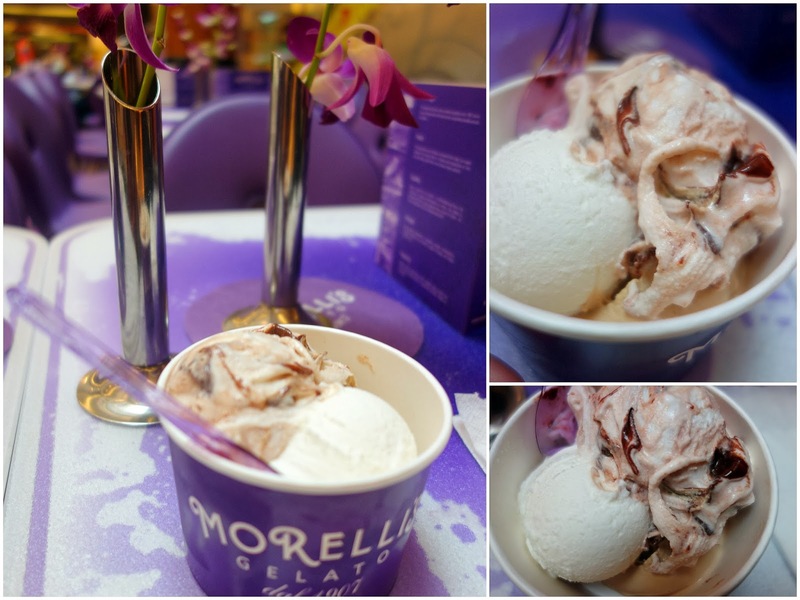 From Harrods Food Hall to Bangsar Shopping Centre: Malaysia can now welcome this country's first outpost of Morelli's, the British-based ice cream chain whose franchise operations encompass London to Libreville, Monaco to Manila, Dallas to Dubai. 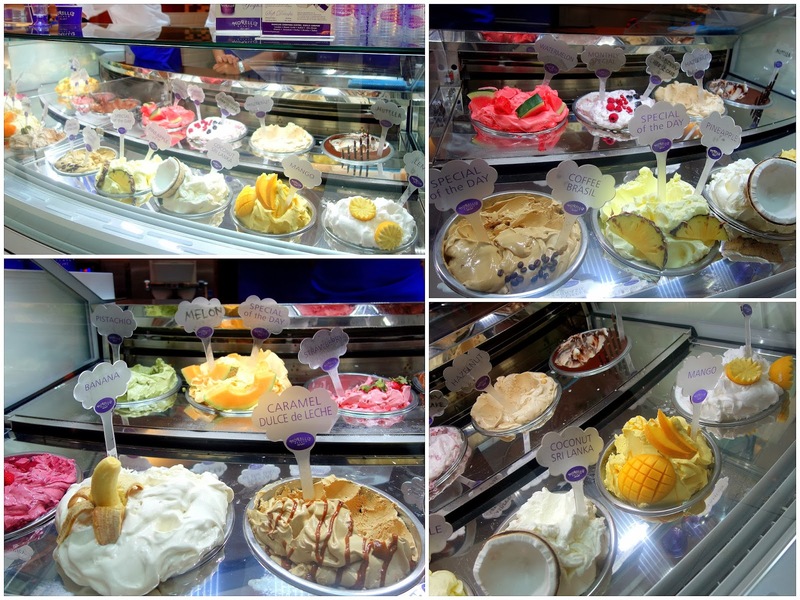 Morelli's is proud of its heritage that dates back five generations to Giuseppe Morelli, an Italian emigrant who reputedly began selling ice cream from his bicycle in the county of Kent in the early 20th century. The brand has come a long way since then. 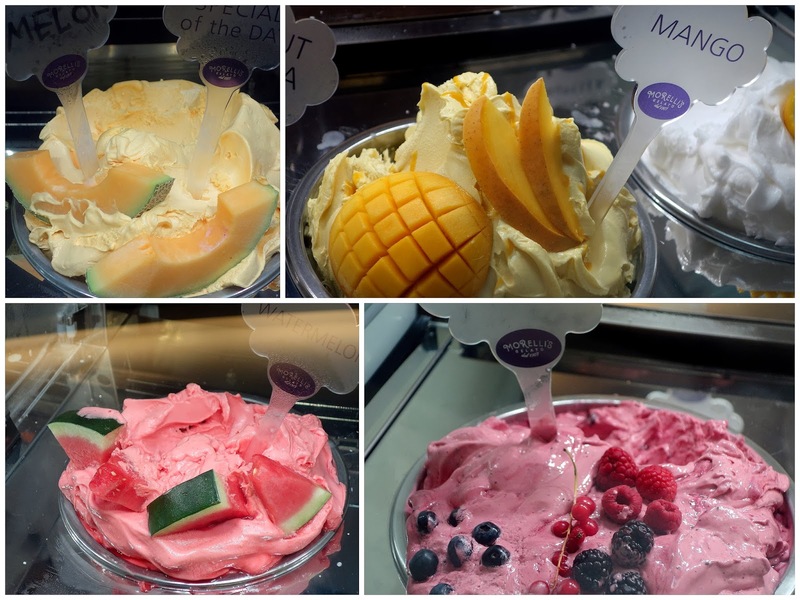 Its Malaysian franchise is operated by a subsidiary of Naza Corp.
High marks for presentation here: Love how the fresh fruits make each flavour look even more enticing. We purchased a three-scoop cup comprising Sri Lankan coconut, Brazilian coffee & Nutella flavours for RM20 after savouring small samples of some of the other stand-out options (the pistachio's lovely, supposedly made with culinary nuts from Sicily). The verdict: Sumptuously milky-smooth, with deliciously defined flavours. The coconut creation has a nice flakiness while the Nutella is pleasantly sticky. Ideal for those dog days when we need a cool pick-me-up. Sundaes are available too; pricey but probably worthwhile. Service here is friendly. 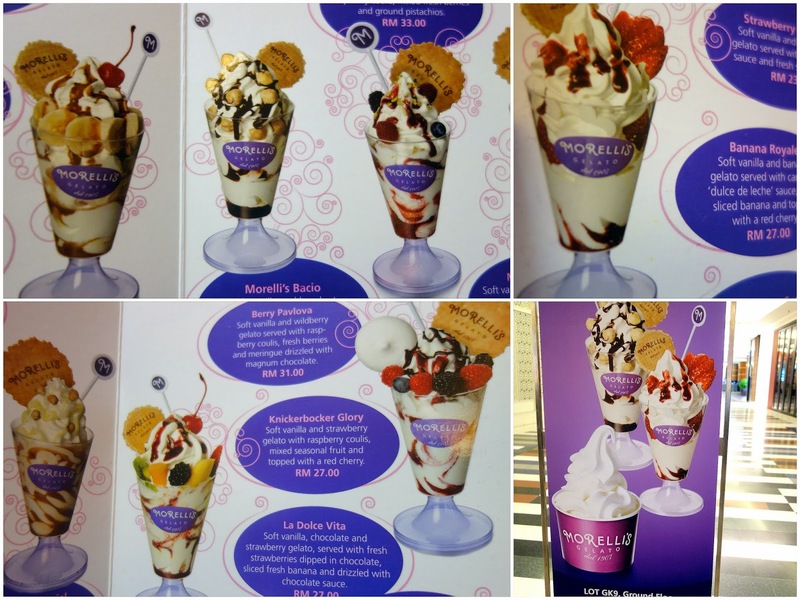 All in all, Morelli's in Kuala Lumpur seems to be off to a strong start, doing justice to this family name. This is such a beautiful, crisp and clean place, Sean! Yet to try any - they don't come cheap. Sobssss!!! 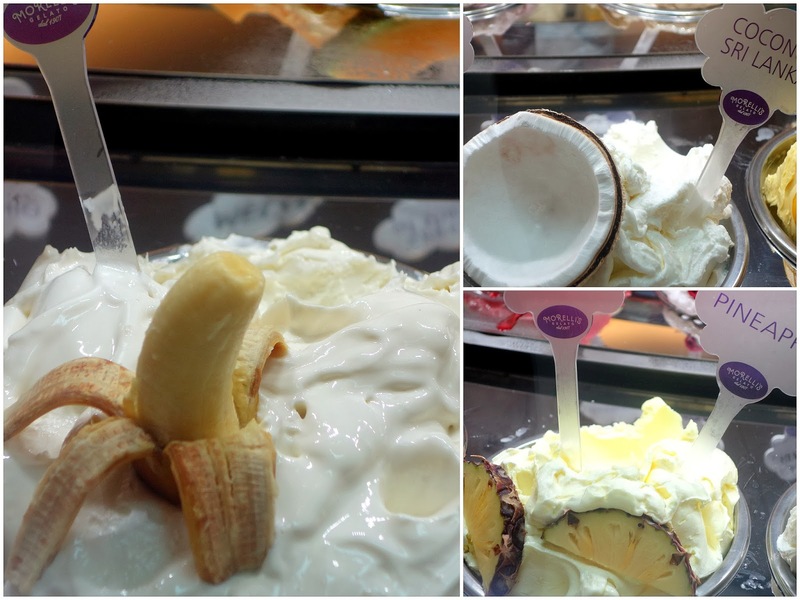 All of that fruit topping is certainly attractive. What's the price like? Eg. 1 scoop, or 2 scoops? And take away boxes? My Kind of Style: RM10 for one scoop and RM15 for two scoops. Don't know re boxes.